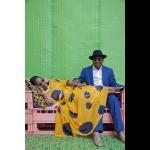 Hear husband and wife musical duo Amadou & Mariam play from their latest album, La Confusion, in Royal Festival Hall. With the release of La Confusion, their eighth international album, two of Africa’s most popular artists return as musical ambassadors for their continent and their country, Mali. Amadou and Mariam’s story is an inspiring tale in modern music: a love affair that propelled two grandparents from Mali into music charts across the world, winning enough awards to fill several sideboards and raising awareness of the difficulties of living in one of the world’s poorest countries. The duo appeared on the Main Stage at Glastonbury, crisscrossed America, supported Blur at Hyde Park, toured with Coldplay and U2, performed at a Nobel Peace Prize concert in honour of Barack Obama and played at the opening ceremonies of the last two FIFA world cups.